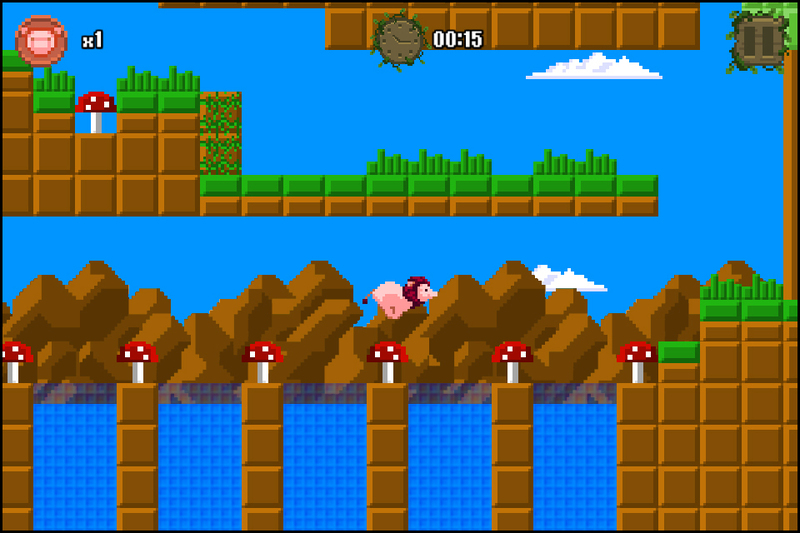 [prMac.com] Lafayette, California - Selosoft, Inc. is pleased to introduce a preview for Lion Pig, an arcade-style platform game coming soon for iPhone(R), iPad(R), iPod touch(R), and Android(TM). Lion pig is an interesting animal. He desperately wants to be the next video game platform star but he has a problem. Because he is half pig he has very tiny hind legs and lacks the strength to jump. But that's not going to stop him! He is half Lion after all and has some super upper body strength. Players will use his strength to Run, Climb, Swim and Bounce their way to victory in a colorful world of blocks and pixels! From the bright and sunny Grasslands to the moss-covered skyscrapers of Techno City, there are 7 different worlds, each with their own challenges. Climb walls, scale ceilings and use your lion strength to maneuver your way through each level to collect all of the lion pig coins. Complete levels fast enough and players will unlock bonus levels which offer some very unique gameplay. 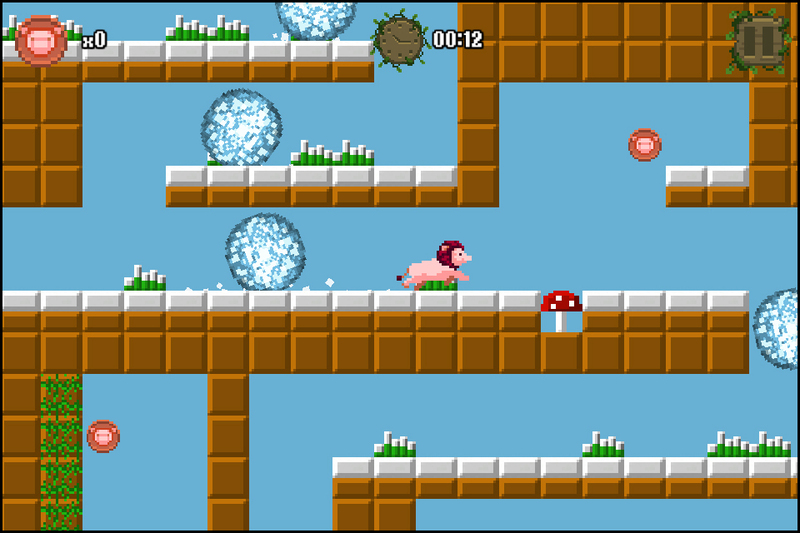 There is a strong emphasis on speed running in Lion Pig. Players will earn a bronze, silver or gold coin upon completing a level based on how fast they completed the level. If a player earns a gold coin for each level in a world then a bonus level for that world will be unlocked and playable. Each bonus level is very unique and offers a fun challenge. 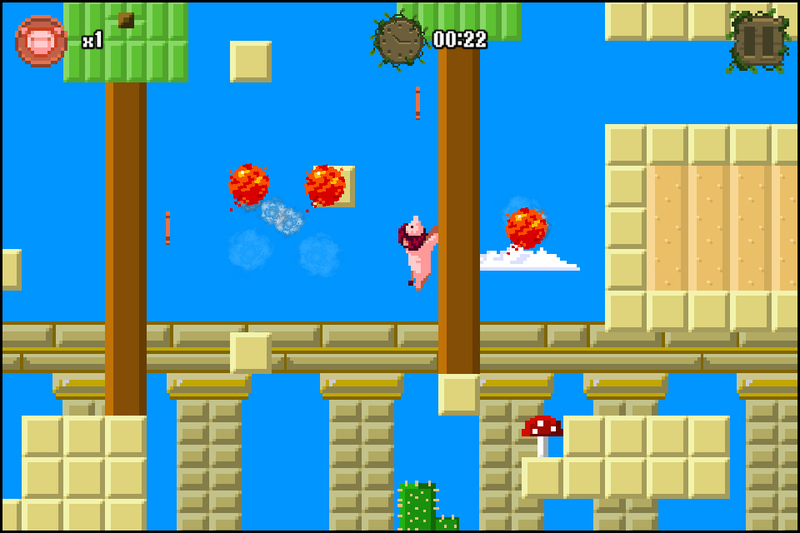 * Bonus levels have a unique theme and challenge, some of which include timed platform movement, anti gravity and color switching mechanics. * Simple, unique and intuitive controls. No virtual buttons are present in Lion Pig. Players must press and hold the right side of the screen to move right, press and hold the left side of the screen to move left, swipe right to wall jump to the right, swipe left to wall jump to the left, and swipe down to drop from a ceiling.